I didn't really want to ride that many miles today. There were supposed to be several campgrounds back a way but I never saw them. Actually it was the easiest 86 miles I ever rode. Wind at my back most of the way. Cold wind I might add. It rained a little in the late afternoon and again at the campground, but this Central Oregon rain is pretty wimpy. Ran into another bike tourist today. Derrick had ridden up from California. You can check out his journal. He had stopped to fix a flat when I ran into him. We road together for a while but then I turned off on hwy. 58 and he kept going towards Gilchrist. Highway 58 was a fine ride, west back towards the Cascades. It was getting colder and even rained a little. 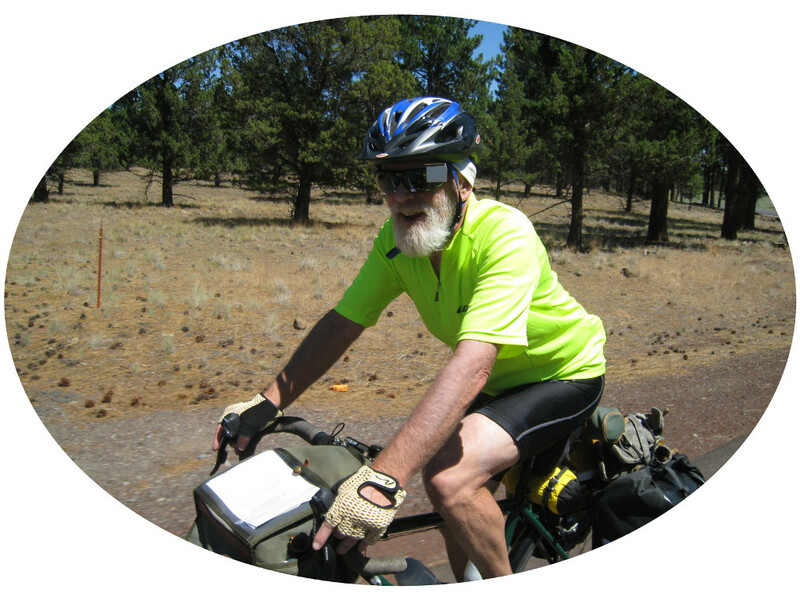 The campground I wanted, on the Little Deschutes River, was not to be found so I kept riding. I realized I wouldn't have enough water if I couldn't find a campground, but I got some from a trucker who was stopped on the side of the road. It was late when I got to the campground but the days are long. I was the only one there. It was cold and lonely. Got the tent up, got a fire going, had dinner, and got to bed.